What? I know, my name is actually Sarah. 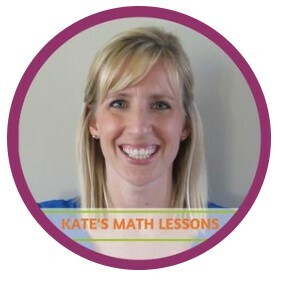 I named the website after my daughter Kate back when I created this website for my own students (I figured they would like it better if they didn't know I made it!). I'm a certified math teacher in Indiana and have more than 10 years of experience teaching middle school and high school math. I created these lessons, videos, study guides, and practice quizzes to help my current students and any other students who find their way here. Content may be used for personal, non-commercial use. ​Teachers: Make sure to check out the printable study guides and activities I created to use with the lessons. Questions or suggestions? Please send me a message! This website is a work in progress so I'd love to hear your thoughts.